Due to Hurricane Sandy, many of our clients are from the Northeast and are still experiencing issues with power outages and bad internet connections. Therefore, we are rescheduling our Virtual Caribbean Night with Sandals Resorts for Wednesday, November 14th at 7:00PM. If you have RSVP'd that you will attend tomorrow's event and are able to make the new event date, then you don't need to RSVP again. We will send you a link to the webinar the morning of November 14th. If you RSVP'd yes and cannot make the new event date, just send us an email to info@myparadiseplanner.com saying "unable to attend" and we will remove your name from the mailing list. If you haven't RSVP'd yet and wish to attend the new event date on November 14th, please go to www.myparadiseplanner.com/rsvp and RSVP. We will email you a link to the webinar the morning of November 14th. We apologize for any inconveniences the date change may cause, but appreciate your understanding. **All who are in attendance of this special webinar will receive an exclusive $250 spa credit on their next Sandals or Beaches booking, so if you or anyone you know is looking to book a trip to Sandals or Beaches, this is a great opportunity to get an extra discount not available to the public. The $250 spa credit offer is available for new bookings only and must be booked from November 14h to November 28th, within 14 days of the hosted event, for travel at any time in 2012, 2013, and 2014. 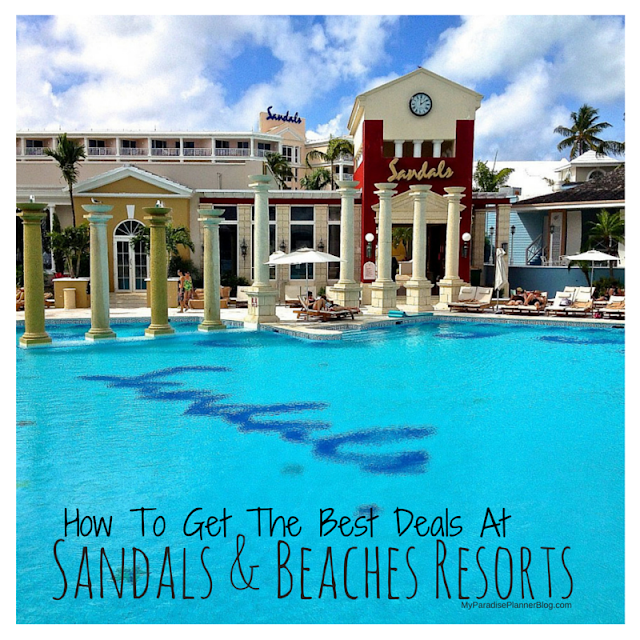 Offer able to be combined with any promotional discounts available at the time of booking; such as air credits, free nights, free tours, credits/points from previous visits to Sandals or Beaches resorts, or points/credits from Sandals or Beaches credit card.